Gomez & Uzcategui is a law firm that has two offices. One is located in Miami, Florida and another office is located in Weston, Florida. Gomez & Uzcategui is a law firm that serves both individuals and corporations in all matters related to their immigration issues, such as Immigration Visas, Non Immigrant Visas, Citizenship, Asylum, and Removal Proceedings. We pride ourselves on striving to meet all the immigration needs of our customers quickly and efficiently. Our customers are priority number one, and know that satisfied customers are our best source of referrals. Our law firm provides extensive consultation where we review your immigration goals and needs, and analyze in detail their eligibility within the various programs provided within the immigration laws of the United States. Gomez & Uzcategui represents all kinds of people, including small business owners, executives, managers, athletes, medical personnel, teachers, and researchers of all nationalities with all immigration matters in the United States or consular processing around the world. We hope to have the pleasure of meeting you, and serving you now or in the future. Contact us for a consultation. We are here to help in your immigration case. Johanny Uzcategui is a lawyer in Venezuela and the United States. In 2001, she graduated from the Rafael Belloso Chacin University in Maracaibo, Venezuela. Later, Johanny Uzcategui graduated from Nova Southeastern University in Davie, Florida in 2004. Subsequently, Johanny acquired a Master's in Business Administration at Nova Southeastern University in Davie, Florida. Johanny is a member of Impreabogado of Venezuela since 2001, and a member of the Florida and US Supreme Court. Johanny Uzcategui currently serves as a co-founding partner of Gomez & Uzcategui and continues to practice exclusively in the area of immigration law. Johanny has extensive experience in Immigration Law and has represented hundreds of clients in all legal and transactional aspects within the scope of immigration laws in the United States. Johanny is a very active and through immigration attorney, and has accumulated a remarkable number of victories on behalf of her clients in various immigration courtrooms. She is an active member of the American Immigration Lawyers Association (AILA). She can speak English and Spanish fluently. Adriana Gomez is a lawyer in Colombia and the United States. She graduated in 1999 from the Pontificia Universidad Javeriana in Bogota, Colombia and is an attorney licensed in Colombia. Later, Adriana graduated from St. Thomas University in Miami, Florida and has been a member of the Bar Association of Florida since 2006. 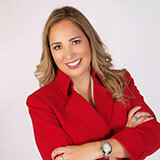 Adriana Gomez currently serves as co-founding partner of Gomez & Uzcategui and continues to practice exclusively in the area of immigration law. Adriana Gomez has extensive experience defending clients facing deportation or exclusion from the United States, and assisting families to make requests and applications by relatives seeking U.S. citizenship, waivers (waivers), and others. She can speak English and Spanish fluently. Adriana has represented hundreds of clients in all aspects of immigration laws in the United States. Adriana has consistently represented clients before immigration judges and submitted appeals before the Immigration Appellate Court.